Most conventional pot trivets only provide enough space for standing a single hot pan or dish on, meaning additional trivets are required if serving food from a variety of hot containers. The unique expandable design of Stretch helps eliminate this, as its size can be easily adjusted to provide space for more than one pan, or even a large casserole dish. After use, it folds neatly away for convenient storage. 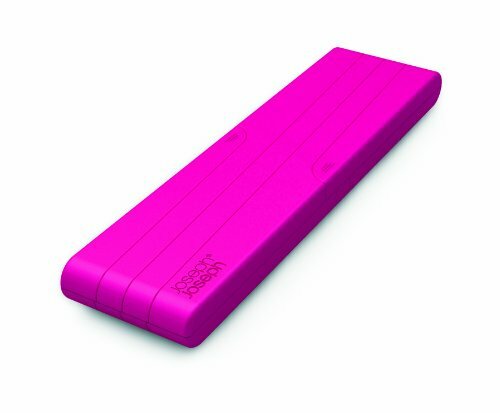 Made from a high-quality silicone-nylon composite, it is heat resistant up to 340-Degree C / 640-Degree F. Pink. Dishwasher safe. By Joseph Joseph - masters of form and function.